Harrat ar Rahah is the northernmost of a series of young basaltic volcanic fields in western Saudi Arabia arranged parallel to the Red Sea. It is located south of the Plain of El-'Hisma, south of the town of Tabuk. The field contains mainly large olivine-bearing basalt lava flows that were erupted from fissures. The age of the last eruptions is unknown, but probably less than 10,000 years. 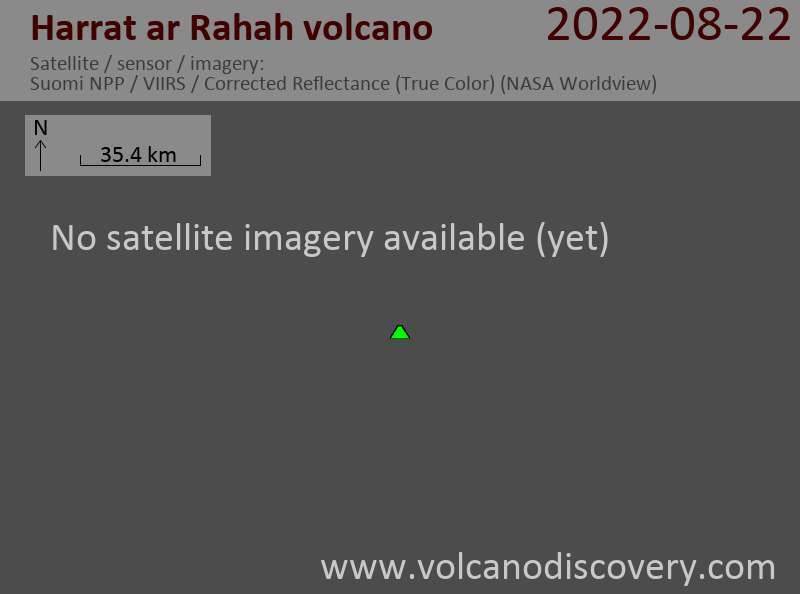 There are fewer young volcanoes in Harrat ar Rahah than in other harrats (lava fields) to the south. Harrat ar Rahah is erosionally divided into two segments and is about 35 km wide at its broadest extent on the west, narrowing down to less than a kilometer in width at the divide at Matar. Lava flows are more numerous in the southern segment, where they rise up to 550 m above the Cambrian sandstone plain. On the southern and SW sides the sandstones and the basaltic lava fields are dissected, and lava flows traveled mainly to the NE. Neumann van Padang (1963) in the Catalog of Active Volcanoes of the World speculated that the Israelite account in Exodus 19:16-18 might refer to an eruption from Harrat ar Rahah.